Hello everyone today we are going to add another level to our sewing experiences. 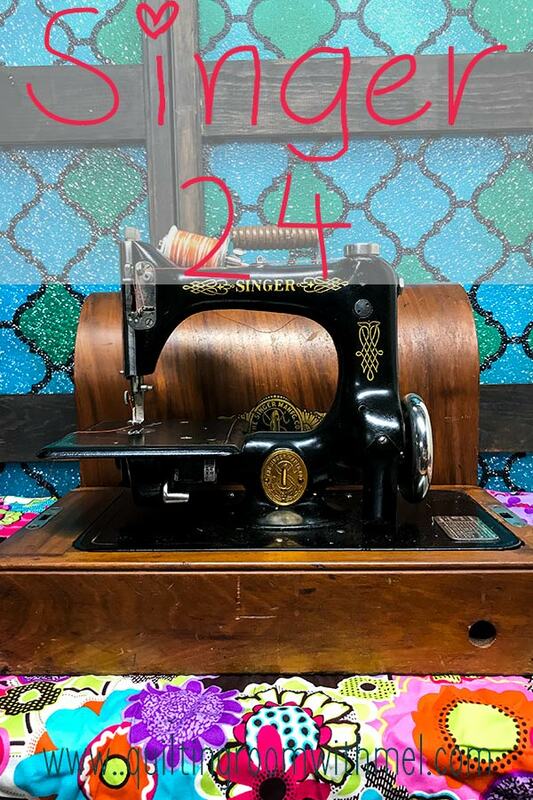 Today we are highlighting one of the Singer Automatic Chain Stitch sewing machines also known as the Model 24. 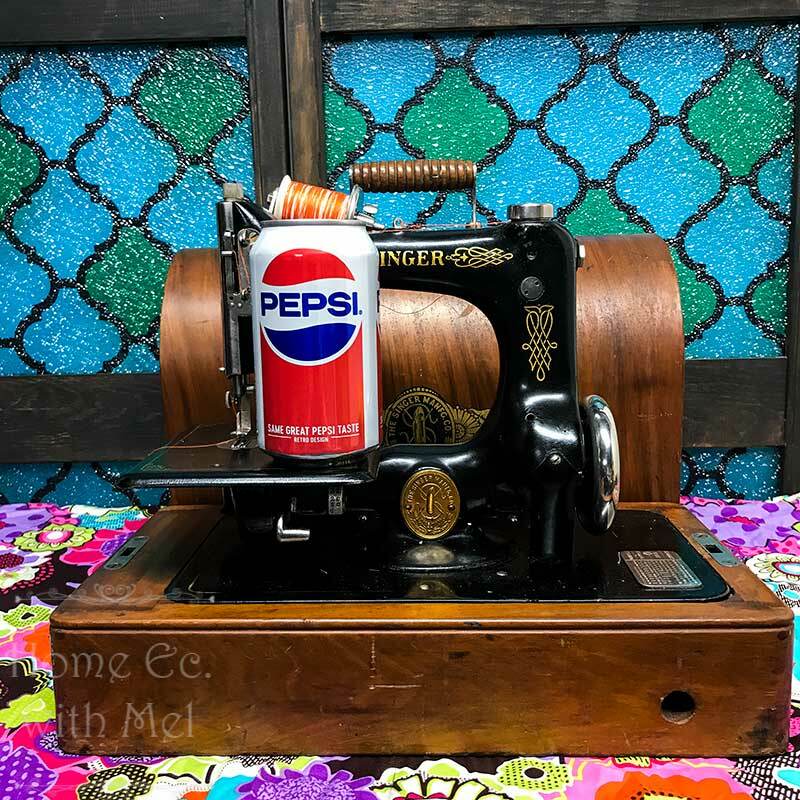 It differs from our other vintage sewing machines because it was designed as an Industrial sewing machine and found itself serving dual duty as a residential or domestic sewing machine with little or no special modifications. 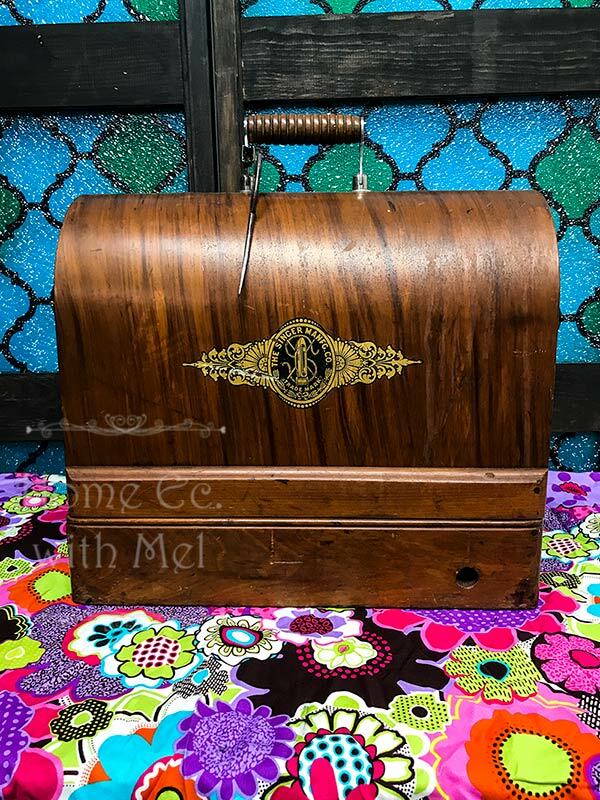 It served both markets with hand crank sewing machines as well as treadle sewing machines and electric sewing machines. 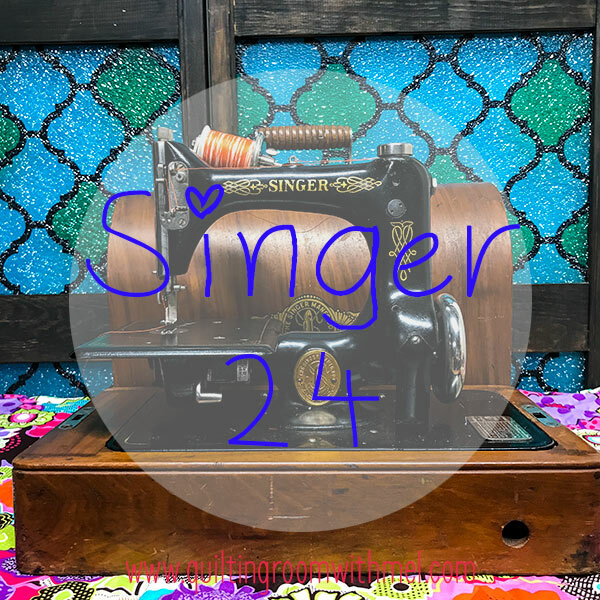 The Singer Model 24 is a chain stitch sewing machine that was first patented on April 15th, 1886 and for the first 5yrs of is life it was simply known as the Automatic Chain stitch sewing machine. In 1891 Singer changed from using descriptive names to using a model# classification system and the Automatic Chain-stitch sewing machine became known as the Model 24 Automatic Chain stitch sewing machine. It was available as a Hand-cranked machine or a treadle sewing machine. It was heavily used in the steam or water driven industrial manufacturing plants at the turn of the 19th century. Chain stitch sewing machines only require a single thread to form stitches in a long continuous seam looping and locking into a chain on the backside of the seamed fabric. It appears there are differences of opinion whenever chain stitching is brought into a conversation. Some opinions are negative in regards to chain stitch solely because the seam has to be (locked) or tied off to prevent the seam from unraveling. Being from farm country USA, I have unraveled (unzipped) more feedbags, seed bags, salt and dog food sacks than I care to count. These bags are sewn shut using a chain stitch to hold them closed. To lock the stitch and prevent it from un-zipping the running end must be pulled back through the loop on the underside of the fabric causing a half loop to form with the running end exiting in the center of the last loop on the top side of the fabric. When pulled tight it cannot unravel because the running thread is trapped in the loop preventing subsequent loops from being unzipped. By leaving a long tail after the final stitch it is possible to thread this tail into a hand needle allowing the sewist to tie-off the seam just as it is done when hand stitching. On the other hand, chain stitches are great when used to Baste with. It is easily pulled out and it leaves no damage behind. They are also more flexible than a standard lock stitch; they work well with wool or knit fabrics. When tied off or locked the integrity of the chain stitch seam is comparable to that of a lock stitch seam. Yes if they do break a thread there is the possibility of the entire seam pulling out if it is not re-locked. The inherent clause is the chain stitch seldom breaks because of its ability to flex and give when it stretches whereas a lock stitch does not have the same potential. So it appears that either stitch has its good characteristic’s as well as its bad. We added our model 24 to our herd happily and quite by coincidence. We have a friend who operates a Flea Market type business. He leases out booth space to vendors who then sell everything from antiques and collectibles to garage sale and storage locker finds. Every now and then when one of his vendors brings in new stock he will find something he thinks might interest us and he calls us. Our 24 was one of those occasions; He called to ask if this machine was a Featherweight or what. He sent us a couple pictures of it, and it definitely was not a featherweight. I gently broke the news that it was not what he thought it was and quickly followed it up with “where is this located”? His answer was, “one of my vendors set it out in his booth for sale tomorrow”. That meant it was only 7 miles from my house. I asked him the vendor price and as soon as he said $65 Mel cut into the conversation and said: “SOLD, I will be there in the morning to pick it up”. She looked at me and stated she knew I wanted a chain stitch machine and Christmas wasn’t too far away it would be her gift to me. Since it was 6:30 on a Friday night they were already closed. I would have to wait until 9:00 in the morning to take possession. So we did. And by 9:10 it was paid for and in the car. But when she laid out 4 $20s, the vendor pushed one back to her and refused to take a dime more than $60. Fantastic Christmas present for me. We took it home and immediately started cleaning it up and locating a manual for it. Being wildly successful in both endeavors we had it making stitches by 8:00 that night. While looking for the manual for it we also dated and fully identified the sub model from the serial number. Its full name is Model 24-62 and it was commissioned in 1922. Ironically the Model 29-4 we picked up a month earlier was also commissioned in 1922 but a couple months earlier. Talk about extreme size differences. The 24 is 10 inches wide, 8 ½ in tall and has a harp space of 5 inches. The cloth plate is 5 ¾ in wide x 5 in long. Its total length is 12 ¼ in while the harp space on the 29-4 is 12 in. The 24-62 is a domestic portable electric model in a bentwood case smaller than a model 99. It appears most of the 62’s were set-up with a knee lever like the 99’s. Ours is not, it has electrical terminal stubs mounted inside the case flush with the back of the case and the foot control plugs into the terminals. The power cord is connected inside of the foot controller similar to the 99’s and 66’s which plugged into the case from the topside behind the hand wheel. The only difference between ours and one labeled as industrial is its portability with the bentwood case and the hand wheel is slightly smaller and is smooth chrome with no finger grooves in the hand wheel. Both domestic and industrial models use the same 24x1 needle with the exception of some of the dual needle machines and the K-1 thru K-3 which use a 24x3 needle. The difference between the needles is the flat side is at the back of a 24x1 and at the front of a 24x3 needle. There were a few 24’s built that used a common dual plate tension assembly but most use the automatic tension design. I haven’t quite got it figured out yet but it works flawlessly on every thread fabric combination I have tried it on and I have no desire to mess it up by taking it apart just to see how it works. One of the other unique attributes of the 24 is a small window built into the lower right corner of the cloth plate above the stitch length regulator making it easy to see and adjust the stitch length. Now honestly I feel like I am barely past the honeymoon stage in my relationship with my 24 but I do feel comfortable enough with it to be able to give an unbiased review of its performance. It is one of the quietest, smoothest operating machines I have ever had the pleasure to operate. If only there would have been electronic foot controls in 1922 it would have been the full package. As it is with its resistive foot control I have sewn everything from silk and rayon to denim and leather. I have been pleasantly surprised with this tiny little machine and I blame operator error for any of the failures it has incurred. It was a bit of a learning curve for me, but I am always ready to learn and it is a patient and forgiving teacher. It does like to make beautiful stitches, but it also wants the needle and thread sized properly in order to make that beautiful stitch turn into a beautiful seam. #1 operator error and the manual is quite clear in defining that statement. Since I am guilty of using any needle the thread will fit the eye of, I naturally failed. All in all, it was the only problem the machine has given me, and it served to remind me that intuition is only an educated guess and reading the instructions leads to success. Until next time enjoy your machines your way. What a beautiful little machine and a pretty case with. I think you got a great deal!